Supply Chain Archives | Page 2 of 16 | Morai Logistics Inc.
Prescriptive analytics is a decision making model that can help supply chains meet the increasing demands that have resulted from the revolution of technology. Now more than ever, the supply chain and logistics industry is under pressure to meet the unprecedented growing demands of consumers. In addition, they also must meet demands with efficiency and immediacy, while offering competitive rates and network opportunities. The impact of emerging technologies on transportation supply chains is a point of interest to a variety of industry leaders. It requires actionable initiatives that specifically analyze innovative ways for supply chains to improve their bottom line and transform to effective digital supply networks (DSNs). A form of advanced analytics which examines data or content to answer the question “What should be done?” or “What can we do to make _______ happen? This form of algorithmic decision making, enables companies to visualize actions that improve operations and capitalize profits. 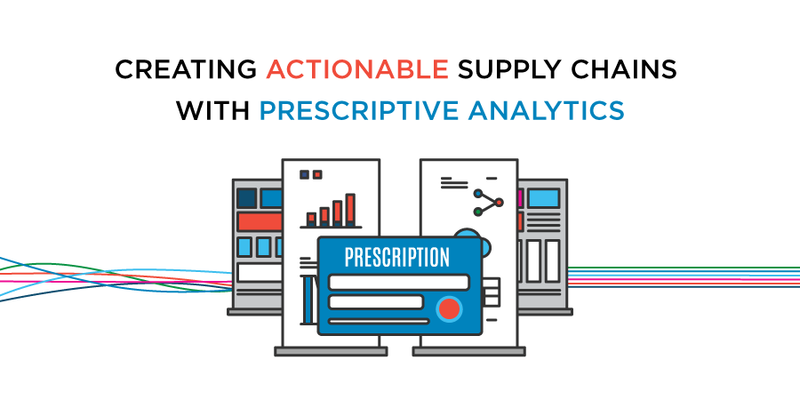 This blog post dives deeper into understanding the function and benefits of prescriptive analytics in supply chain management. Advanced analytics can be described as being either descriptive, predictive or prescriptive. Their meaning can be broken down into fundamental questions that help businesses achieve an objective. In April, Morai Logistics discussed the imperative need for supply chains to improve transparency. We describe predictive analytics as a recommended technology that provides organizations with the technology to forecast and achieve real-time visibility. Joined by Artificial Intelligence and Machine Learning, this suite of tools help many industries such as retail, healthcare and transportation. What’s does prescriptive analytics bring to the table? Prescriptive analytics market accounted for USD 1.20 billion growing at a CAGR of 30.95% during the forecast period of 2017 to 2024. In comparison to forecasting with predictive analytics, prescriptive analytics identifies how ‘business processes should evolve or be modified’. It’s an algorithmic decision making model that analyses data in order to take action. Applying this level of analysis can help any business understand how to effectively use their ‘resources, costs and capabilities’. Transportation and logistics is a market segment that should utilize prescriptive analytics. However, their integration is comparatively slower to other industries despite feeling the pressure of consumer demand the most. Although there is a growing need for new and improved processes, many industry leaders fear the unknown of integrating a new technology tool. Supply Chain Management Review states that implementing prescriptive analytics is ‘a crucial analytics approach’. They further reinforce the following outcomes below as beneficial to improving supply chain management. Create ‘visibility between the supply chain and finance’. Provides managers with advanced platforms that help base decisions on fact-based scenarios. Integration of predictive benefits such as cost reductions, forecasting and end-to-end visibility. Create a prepared, informed and confident workforce. Advanced analytics is a critical tool that should be integrated into any organization looking to achieve profit growth. Supply chains must continue to embrace technologies in order to meet customer demands, while creating a competitive advantage in changing markets. Predictive analytics is important because it helps supply chains understand future risks, challenges and outcomes. However, prescriptive analytics leverages data to devise action that will improve efficiency, immediacy and their bottom line. Mobile based solutions provide added value to supply chain management operations by improving efficiency, speed and accuracy. The benefit of technology will continue to be a topic of discussion in the supply chain and logistics industry. In recent months, Morai Logistics has discussed the positive impact machine learning, Artificial Intelligence and predictive analytics will have on real-time efficiencies. The mobile supply chain has also gained considerable attention as companies and third party logistics providers seek ways to improve the end-to-end experience. There is an overall added value of transparency and efficiency that comes from an increase in connectivity. Therefore, the integration of mobile-based solutions has been implemented by many industries including transportation supply chain management. This article defines mobile supply chains and dentifies current mobile based applications gaining considerable attention. …compact, lightweight and with durable construction or use in extreme temperatures and environments encountered frequently both in and out of the warehouse. From shippers to third party logistics providers, the implementation of mobile applications helps improve the entire shipment lifecycle. Last week, Morai Logistics discussed how consolidation tools improve cold chains. The use of tablets or RFID handhelds, offer multiple users across the same organization, accessibility to a platform that contains all important information. This helps supply chains run smoothly and creates efficient communication verticals. Research states that ‘a mobility solution allows you to manage all of the on-road processes for a successful delivery and pick up of all freight’. In addition, it provides a platform for drivers to locate details about delivery specifications and in helps facilitate ‘driver-specific actions’. As ecommerce platforms and mobile technology make allow customers to make immediate buying decisions, their expectations and demands also increase. Ultimately, efficient and faster supply chains improve the customer experience, which is another benefit provided by mobile applications. They help to remove the barriers that impact shipment visibility, which is a challenge facing supply chains in changing markets. Let’s take a look at a mobile based solution making headway today. Oracle Corporation creates and delivers innovative technologies that help businesses around the world advance their processes. 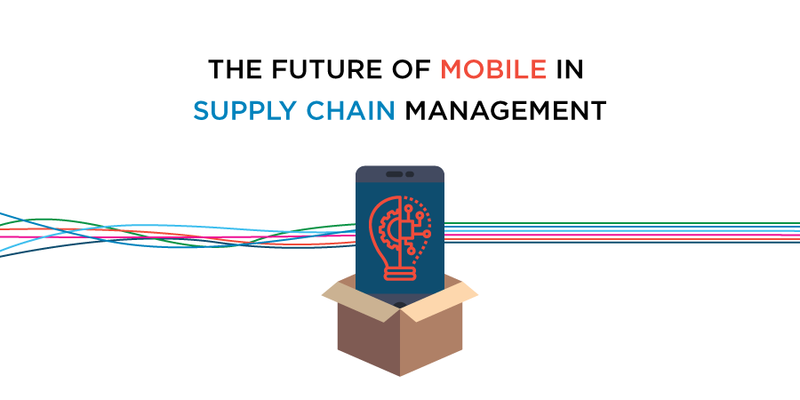 In an effort to help improve supply chains, they have created Oracle® Mobile Supply Chain Applications (MSCA). In relation to the benefits listed above, these applications also help ‘improve visibility, productivity and accuracy’. They integrate into a variety of devices and software systems, offers personalization and provides real-time insight and data processing. This program has been designed to help optimize supply chains that don’t require an ‘extensive warehouse management system’. As the demand for efficiency, speed and immediacy continues to increase, supply chains will continue to rely on advanced technology. The emergence of mobile based solutions is not a recent industry trend, however, it is still gaining considerable attention. The added value applications such as MSCA provide companies looking to improve the end-to-end experience is significant. This post highlights three strategic areas which many companies overlooked in 2017; strategy, security & interaction, and how to best achieve improvements in these areas. It’s the second week of January. This means that roughly 30% of people have already stumbled on their New Year’s Resolutions. 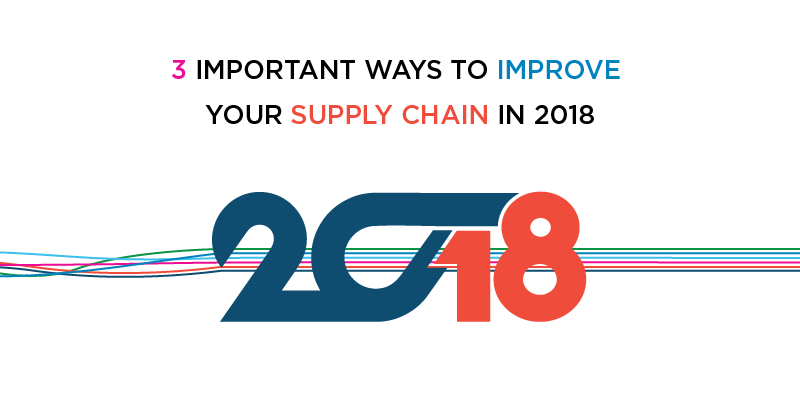 While many of these resolutions are weight, money or relationship related, for us in the supply chain industry, we have different priorities. Our goal as supply chain specialists is to get the right items to the right places at the right time. Moreover, we need to be aware of the delicate balance that can be easily disrupted in logistics. 2017 has been an interesting year. Specifically in the major technological, economic and market-driven shifts. This means that being successful in 2018 will require adjustments. For this reason in today’s blog post, we’ve highlighted some important developments in the world of supply chains and how to best tackle these new challenges. Given the name of the field ‘supply chain & logistics’, a person could be forgiven for thinking all we’re concerned about is supply. However, supply and demand are intricately tied, which is why it exists after all. After all, globalization, international business markets, marketing spend, weather, etc. makes demand difficult to quantify and predict. But, that doesn’t mean it isn’t possible. Supply chain professionals should absolutely strive to better understand demand; after all, demand is one of the most important factors impacting your overall supply chain design. You need to make sure your business has a solid grasp on future demand to ensure sufficient capacities are in place and products are deployed appropriately. Do you have challenges getting internal approval of or buy-in for strategic supply chain initiatives due to lack of visibility into long-term future demand? Are you able to provide insights into company management about how evolving demand trends might impact your supply chain? Are you able to model the long-term impact of demand based on internal company strategic decisions (new product design, current product life cycles, expansion into new markets)? Do you have a solid understanding of and ability to quantify the factors driving changes in demand over the long term? Do you need more reliable long-term demand projections to support strategic decisions about changes in your network design? Many high-profile cyber attacks happened in 2017. They took a heavy cost on both the global economy and consumer confidence. To get ahead this year, organizations need to take advantage of emerging trends in technology and cyberspace to better handle high-risk security risks. Take a look here for a comprehensive explanation of each security topic. This one may seem like a no-brainer, but saying things like “please” and “thank you” tends to get lost once peak time rolls around. While supply chain & logistics continues to be a hot industry, that doesn’t mean that it’s zero-sum with manners. Striving towards being more personable is something we should all aim for in 2018. Whether it be with clients or coworkers. 2018 represents an opportunity to deep dive and find ways to improve the way we do things. Whether those improvements be strategic, technological or just a commitment to being more kind. Properly laying out and adhering to goals is what matters. Let’s be part of that 10% who achieve their resolution. If you liked this blog post, why not subscribe to our blog? Interested in our 3rd party logistics services? If so, don’t hesitate to check out our services . We’re also in the twittersphere, so give us a follow to get the latest logistics and supply chain news. Will Robots be Friend or Foe to Today’s Workers? Many publications condemn how automation will affect workers, but recent studies show it to be a benefit. Twenty years ago, the big scare for many workers was that their job would move overseas. There were several stories during the 1990s and early 2000s of companies moving their operations to places like India and China. A combination of new IT technology and data technology allowed businesses to seek further efficiencies in labour costs abroad. While these actions were beneficial for those businesses, it cost many workers their jobs. Offshoring still greatly affects industries such as manufacturing and bookkeeping. But, the rising wages in formerly off-shoring havens (China and India) has started to curb the trend. Growing political pressure and security concerns are also leading to a rise in re-shoring and near-shoring. The scare of waking up one day and discovering your employer has moved overseas is no longer as acute for many North American workers. However, that doesn’t mean their employment is secured thanks to automation. How Will the ‘Robot Apocalypse’ Affect Workers? Automation has only been in warehouses for a few years and is still in the prototype phase for several industries, like shipping & transportation. However, that hasn’t stopped some publications from calling it a ‘robot apocalypse’ for workers. The Huffington Post covered a study last year that estimated that automation will cost the Canadian economy 7.5 million jobs in the next decade. In the world of transportation, warehousing and logistics, Citigroup estimates that up to 80% of jobs in these industries could be at risk. The Brookfield Institute for Innovation and Ryerson University say that automation will affect 42% of all Canadian jobs. These publications are not wrong or misleading. Many industries will have to change fundamentally. This also means several jobs will either change drastically or be eliminated. Automation isn’t a losing zero-sum game for North American workers. For example, those on the warehouse floor have a new friend. Robots are being designed to work with staff, not replace them. These ‘collaborative robots’ are being developed to help people work more productively, efficiently and most importantly, safely. In the retail world, an industry greatly affected by automation, new opportunities are appearing for workers thanks to e-commerce. The fear of losing one’s job because of outside factors is an old one for many people. Whether it be because of downsizing, outsourcing or automation, it can negatively impact a person’s life all the same. The total net gain or loss of automation is impossible to predict at this early stage, but the opportunities the technology presents for worker and consumer alike are exciting. If you liked this blog post, why not subscribe to our blog? If you’re interested in what we do as a 3rd party logistics provider, don’t hesitate to check out our services (as expressed above, we are very pro finding you the lowest total cost!). We’re also in the twittersphere, so give us a follow to get the latest logistics and supply chain news. With the implementation of the new IATA-FIATA Air Cargo Program, the relationship between freight forwarder and airline is transforming. According to the International Air Transport Association (IATA), the air cargo industry accounts for over 35% of global trade. Aviation makes the transportation of pharmaceuticals, live animals, electronic devices, and express delivery services possible across the globe. The role of IATA has been of great importance to ensure the security, profitability and sustainability of the supply chain. However, as global shipping demands and needs of the industry accelerate, so too does the need for change between cargo and airline. Aviation Pros announced on August 15th, 2017, that “the new IATA FIATA Air Cargo Program has been launched in Canada”. This improved program will meet industry needs in addition to transitioning the relationship between freight forwarders and airlines. In collaboration with the International Federation of Freight Forwarders’ Association (FIATA), IATA has decided to reengineer the way shippers interact with airlines. We see now more than ever that the integration of the Internet of Things (IoT) and transportation is becoming necessary to move productivity and sustainability forward. The 2017 IATA Cargo Strategy explains the growing need for the air cargo industry to improve efficiency. For instance, moving from paper bill to electronic airway bills will help improve quality of service and reduce errors. Progressive changes, fostered by the new Air Cargo Program, is a representation of Canada adopting a modern approach to global exchange. On August 16th, 2017, Morai Logistics announced that the launch of the first full-automated Robo-boat will set sail by 2020. We see modernization taking many routes, and with the air cargo industry we can only imagine the heights the industry will go. E-freight is a great example of the move forward with technology. Writer, Shreya Bhattacharya, states that an ‘e-freight route network’ initiative will not only simplify processes, but will offer transparency following the reduction of delays and inaccuracies. IATA outlines 10 industry priorities they believe will help move the industry forward. Digitization is included and described as “a key enabler for the development of new innovative services and solutions.” The motivation to modernize the Air Cargo Program is evidence that the industry is looking long term to identify and ensure a smooth and profitable future. The safe and efficient transport of goods across the globe is facilitated by trusted airlines and freight forwarders. 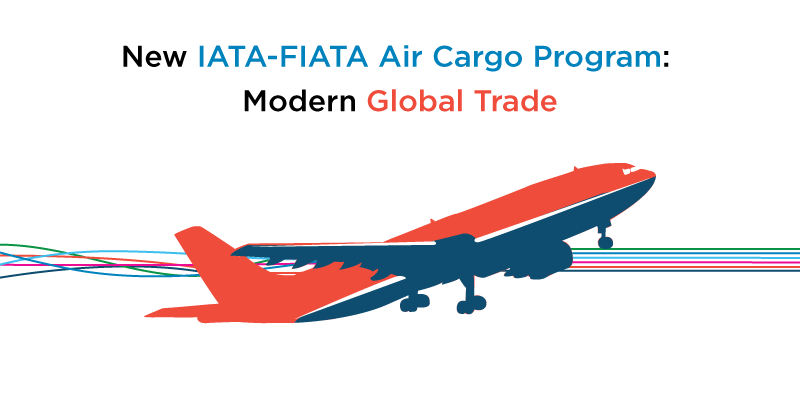 The New IATA-FIATA Air Cargo Program is a global transition to modernizing the way we fly. The benefits are guaranteed to ensure productivity and sustainability and the satisfaction of freight forwarder, airlines and customers. Over the last decade, consumers, shareholders, investors and nonprofit’s have become increasingly concerned about supply chain sustainability. Several high-profile disasters and the acceleration of global climate change has made sustainability a priority for many. National governments and international governing bodies are also showing their support. The United Nation’s (UN) 2013 Global Corporate Sustainability Report looked at the “actions taken by companies around the world to embed responsible practices into their strategies, operations and culture.” The largest effort to date is the Paris Agreement, or Paris Accord. The UN agreement had 195 countries sign it in December 2015. Member countries agreed that global warming is a threat and pledged to stop global surface temperatures from rising 1.5 degrees Celsius. Experts warn that if temperatures go over 2 degrees Celsius, it would lead to catastrophic and irreversible consequences for the environment. Unfortunately, the US pulled out of the agreement in 2017. The White House stating that such an agreement hurts their nation’s economy and sovereignty. While this action has been discouraging, many businesses have been doing their part to continue to further sustainability efforts. 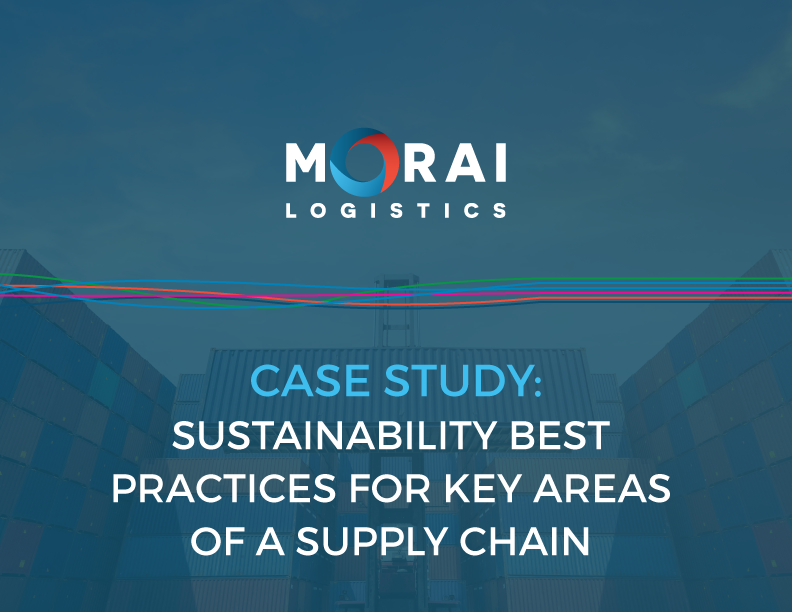 In this e-book, we’ll be exploring sustainability best practices for two key areas of a supply chain, warehouse and distribution, and transportation. A misconception among many businesses is that they need to be big to adopt a sustainable model. While its true companies like McDonald’s, L’Oréal and Apple are all spending millions to billions on green technology, that doesn’t mean everyone must. Smaller supply chains can take gradual steps towards building a more socially, economically and environmentally aware supply chain. Beginning the process is as easy as mapping the existing supply network, identifying inefficiencies and eliminating them. A simple packaging change or better recycling process are examples. Every business has ways to run quicker, cleaner and better. Building a sustainable company is a task that must be taken on from all sides. The collective and collaborative efforts of the supply chain industry, with the support from the government, is crucial. What happens to the environment affects everyone, which is why we all need to do our part to protect it. While modern companies focus on providing exceptional service, Nintendo continues to focus on extraordinary products with a Customer-Centric approach. In our last post, we began exploring the reasons behind Nintendo’s history of not meeting consumer demand. Many of its gaming consoles, software, peripherals and promotional items in the last 20 years have seen instances of scarcity across its North American and European markets. Limited supply, inflated grey market prices, and angry consumers have been the result. Nintendo’s latest console, the Switch, launched a few months ago with similar supply shortages. Some customers and press accused the company of intentionally limiting production to drive sales given the familiarity of the situation. What’s behind the latest supply issues is the company’s customer-centric philosophy, not artificial scarcity. On the surface, Nintendo’s selling practices may seem to favour artificial scarcity to drive sales. The problem with this theory, is that artificial scarcity is only ever a short-term solution for luxury products. Artificial scarcity only generates demand because of perceived scarcity. The actual value of the product isn’t considered, meaning that the company doing it has little incentive to innovate the product. After a certain point, and despite a company’s attempts, there will be too much of a product in circulation for it to maintain its price. Nintendo is a nearly 140-year-old multi-national company, iconic and influential in its industry. If it followed the same strategy as the former Beanie Baby empire, it would’ve folded decades ago. 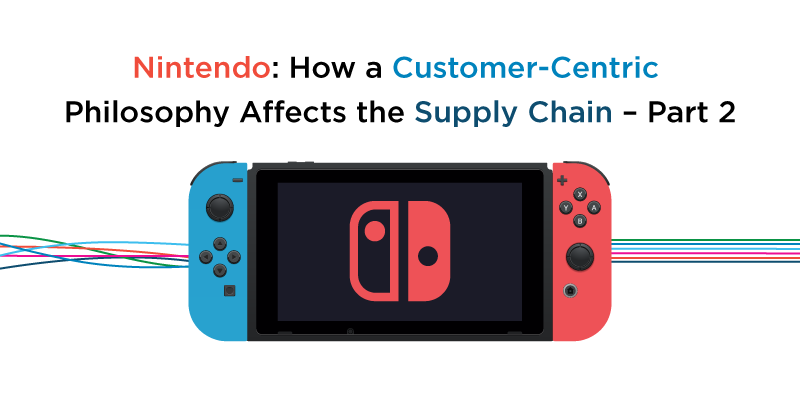 The ‘problem’ with Nintendo’s management and supply chain strategies, is that they’re very customer-centric. Newcomers like Amazon, Uber and PayPal have been disruptive to many industries. However, their biggest contribution is the latest trend of customer-focused strategies. Many companies are now trying to streamline their services to better improve the customer experience. None of these describe Nintendo’s business practices or product design philosophy. In fact, the company is notorious for being especially conservative in an industry that’s in constant flux. Nintendo’s focus throughout its long history, is on creating products that provide a unique experience in and of themselves. Unlike its past (Sega) and current competitors (Sony and Microsoft), the company never bothered to chase the latest technological, marketing or business trends. This historically had both good and bad results for the company at different points in its history. However, it has allowed it to remain strong in the face of ever ballooning industry costs. Sony and Microsoft may have millions of dollars to throw behind their development and marketing strategies, but Nintendo has its Blue Ocean Strategy. That’s it for this week’s post. In the final entry of this three-part series, we’ll describe how Nintendo’s Blue Ocean Strategy and customer-centric approach has led it to continue to be a dominating force within its industry. Beloved entertainment giant Nintendo has a long history of trouble getting their products to the right hands. Almost two months ago, video game giant Nintendo released its latest console—the Switch. Although it received a lot of positive coverage, a familiar problem has been marring the consumer goodwill; extreme product scarcity. The company’s sales forecasts were off. They were so off that additional Switch consoles had to be flown to their North American and European distributors. Although Nintendo took a drastic action and its been two months since the launch, the consoles are still hard to find. Some are even claiming that it’s a case of artificial scarcity. Before we can begin to answer the question of Nintendo’s possible motives, there’s a few basics that need to be gone over. The scarcity of a commodity or a service is an important element of the business model. If there’s a lack of supply, the price will likely go up. If there’s overproduction, the price will start going down. While scarcity is a natural and fundamental part of a free market, artificial scarcity is not. Artificial scarcity happens when an individual, company or organization creates a scarcity either through technology, production or law, where there would otherwise be the capacity for an abundance. In the end, the Beanie Baby empire came crashing down. Collectors became overwhelmed by all the new product lines and regular customers got tired of fighting with scalpers. The rise and fall of Beanie Babies is a lesson in how even the hottest products can tank if consumers aren’t respected. While misjudging demand is something many businesses go through, Nintendo is a special case. Pretty much every piece of hardware released by the company has met with supply problems. NES Classic Mini. Retailed for $60 USD, now on Ebay for $250+ and climbing. Amiibos, RFID-enabled collectable gaming peripherals originally sold for $12.99. Some of harder to find ones ended up selling on the grey market for over $100 USD. New 3DS XLs were impossible to get a hold in NYC when they released earlier this year according to an article from The Verge. Just from these examples (there are many more), it’s safe to say that the company has a history of seriously understating the demand for it’s products. Many potential customers are turned-off from buying Nintendo products for this very reason. 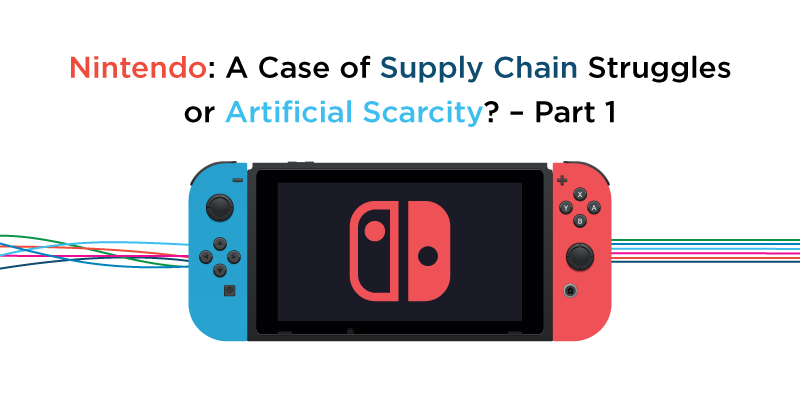 Is it a problem with Nintendo’s supply chain or management? What if the problem is intentional, the supply intentionally restricted as many consumers suspect? The answer to these questions require nuance which is why we’ll leave off answering them until the next blog post. Check back again soon for the second part of this two-part topic. That’s it for us this week! If you liked this blog post, why not subscribe to our blog? If you’re interested in what we do as a 3rd party logistics provider, don’t hesitate to check out our services (as expressed above, we are very pro finding you the lowest total cost!). We’re also in the twittersphere, so give us a follow to get the latest logistics and supply chain news. Earlier this month, Research and Markets added to their “Third Party Logistics (3PL) Market Analysis By Service, By Transport (Roadways, Railways, Waterways, Airways), By End-Use (Manufacturing, Retail, Healthcare, Automotive), By Region, And Segment Forecasts, 2014 – 2025” report. Experts are estimating the 3PL market to reach USD $1.24 trillion within the next decade. That’s a massive increase considering that the current market is estimated to sit at USD 721 billion according to Armstrong & Associates, Inc. There are eight reasons why this is the case. That’s why this month we thought we’d focus our infographic on the top market growth predictions for 2025 when it comes to the third-party logistics industry. As business around the globe continue to expand their operations, the 3PL market will continue to parallel its growth. The Research and Markets updates highlight how this will affect revenue and coverage. Overall, it looks like the next few years will be a good time for the 3PL market. 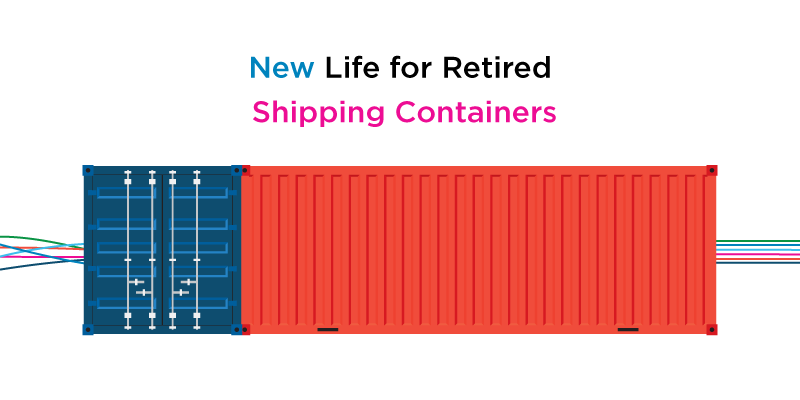 New Life for Retired Shipping Containers? Shipping containers are great for transportation, but did you know they can also fulfill an important construction role? If there’s an item synonymous with shipping, its shipping containers. Whether they are moved through land, air or sea, shipping containers play a crucial role in supply chains. In 2014 alone, the number of these containers moved globally was estimated at 560 million. That’s around 1.5 billion tons of cargo moved all together according to science magazine Nautilus. There is one not so little problem however. With the increasing complexity and growing level of global integration of supply chains, their numbers keep increasing. Because of the demands of frequent travel, each is built to last. So, what do you with the ones that need to be retired? Shipping containers are an industry staple, they can carry anything from clothes to cell phones. Key commodities like petroleum, coal and various metals are regularly occupy these containers when they need to be shipped. Some interesting trivia from Billie Box shows how ubiquitous shipping containers have become for transportation. The life of a shipping container can last between 18-25 years provided it’s well-maintained. A standard 20′ shipping container can hold 1,170 cubic feet and the max gross weight is 30T with a tare weight of 2.2T. A 40′ high cube contains 2,700 cubic feet and the max gross weight is 32.5T with a tare weight of 3.8T. 95% of the world’s cargo is moved by ship. Around 10,000 containers are estimated to be lost at sea annually. Of this number, many incur damage from waves and sink quickly. The problem is when they float just below the surface of the water. When this happens, they pose a danger to sailing vessels. Many used containers are finding a new purpose as building materials this Wall Street Journal article explains. 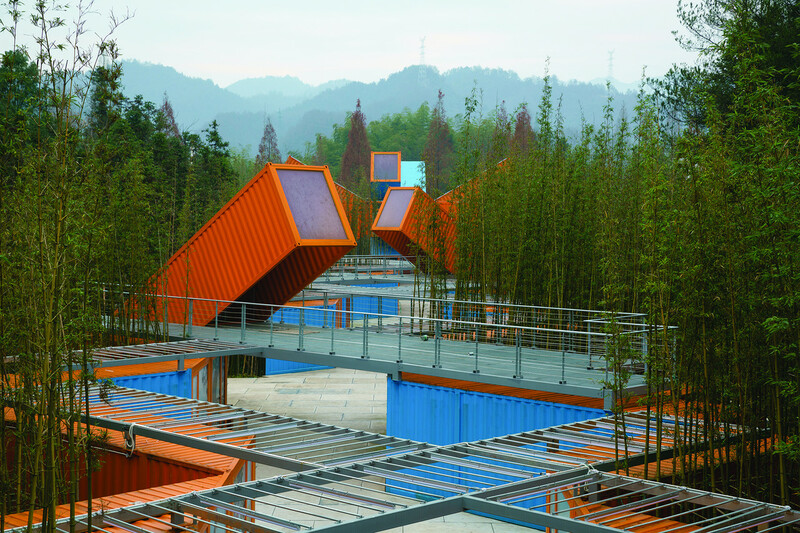 Shipping container architecture, also referred to as ‘cargotecture’ or ‘arkitainer’, is growing in popularity, showing up in restaurants, homes, theme parks and even prison cells. According to the article, about 1 million containers are sold annually for inland use. 70 thousand containers were sold by Maersk Like alone. That number is double what it was in 2015. Shipping containers won’t replace traditional building materials, but they are filling an important niche. As supply chains become more complex, the number of containers that need to be retired will also grow. Thankfully, across the world they are providing alternative housing, storage and venue solutions.